A Mother’s Day Mom-tini Cocktail + recipe included! Whenever a big (or small) holiday rolls around there are sales and gift guides galore. There are just so many products being pushed that it can all make your head spin. Well as you know Mother’s Day is fast approaching and if you haven’t gotten your mom anything yet – don’t. Yes, you read it right, don’t buy your mom anything, make her something. Make her a card, a nice dinner, paint her a picture – just don’t buy her anything. I get it…everyone loves to receive gifts, it’s nice to be thought of and surprised with something special. But what’s more special than receiving something that someone took their time to make for you? I’m heading into my 11th year as a mom and after receiving over a decade of gifts all I want is some quality time with my family and maybe a macaroni jewelry box spray painted gold, I always wanted to keep the one that I made for my mom! Well this Mother’s Day is different, I’m going to treat my mom to some Reiki,; I’m a Reiki practitioner, a nice homemade brunch and a refreshing cocktail. 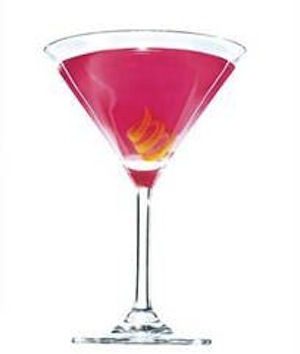 I was sent a recipe for a delicious Nuvo Mom-tini martini that is pink, fruity and delicious so this fits the bill for my Mother’s Day brunch. I’m sure my mom would love to sit back and relax with one of these. Now that I shared my Mother’s Day plans, what are you doing special for your mom on Mother’s Day? Oooooh, this is great for Mother’s Day — or any day!! Great advice! I always ask for homemade gifts and absolutely love them. Also, breakfast in bed is a must! Agreed, breakfast in bed is a must! The drink recipe is a unique idea! I’ll keep this in mind for my mother since we already did a brunch last weekend! I made this for dinner tonight, it came together so quick and everyone loved it! Thanks for a great recipe!! Hi Cindy! I’m so happy to hear that your recipe turned out well! !